Excuse us for living, but simply put, Rutgers had quite a week in and around Thanksgiving! – – -So big that the end story had to wait until the next week. And it’s all in the numbers as they say. First came the vote on the Rutgers’ merger with UMDNJ (the University of Medicine & Dentistry of New Jersey) on Monday, November 19, 2012. A joint meeting of the Rutgers University Boards of Governors and Trustees voted overwhelmingly in favor of the historic restructuring. The Board of Governors voted 11-0 in approval. The Trustees voted 59-51 approval with 8 either abstaining or absent. The merger will go into effect July 1, 2013 and give Rutgers the medical school it has not had since the 1960’s. (Actually, two medical schools and a cancer research center) But look at the numbers!!! There will be $45-75 million spent over the next year or two for consultants, attorneys, and financial experts just on the UMDNJ takeover itself. Then Rutgers will take on $456 million of UMDNJ’s debt, which by the way may cause Rutgers’ Aa2 credit rating to be lowered. While Rutgers’ officials are prepared for this eventuality, it may be more expensive for Rutgers to borrow money in the future. Rutgers’ student body will grow from the present 57,000 to 65,000 students. 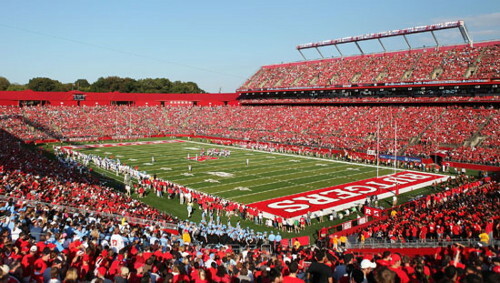 Its employees now at 8,000, Rutgers will take on an additional 15,000 UMDNJ personnel, totaling some 23,000 staff members! And Rutgers’ present budget of $1.37 billion will grow to a combined $3 billion. Despite all these dizzying numbers, Rutgers’ new President, Robert Barchi, is enthusiastic that the merger will create a research university with greater potential future opportunities for Rutgers and the State of New Jersey. 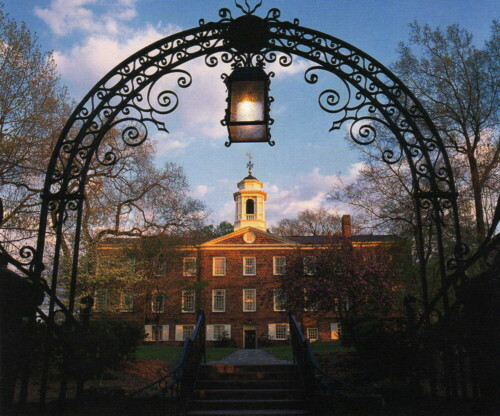 Members of the Rutgers Board of Governors estimate that the takeover could elevate Rutgers to the top 25 most elite research universities in America. Regardless, by statute dated June 28, 2012, the New Jersey State Legislature created a new “Rutgers School of Biomedical Health Sciences,” effective July 1, 2013. Now the Rutgers Boards by their vote have made it a “done deal.” It’s now official following the letter of the law that created the modern day Rutgers back in 1956 and requires the approval of the Boards. And that was Monday! 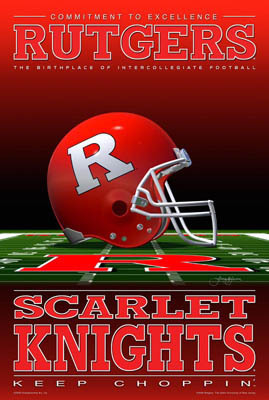 The next day, Tuesday, November 20, 2012, Rutgers Athletic Director Tim Pernetti announced that Rutgers Scarlet Knights would be leaving the Big East and join the Big Ten. The announcement was made at the Hale [Athletic] Center on campus with the Big Ten Commissioner and king maker Jim Delany and Rutgers President Robert Barchi on the dais. And while it may have seemed like this turn of events was coming for days into weeks and months, it was actually years in the making between Pernetti & Delany. And no wonder the excitement. Jim Delany is among the top-10 most powerful people in sports. He’s the one man show who created the BCS and finally agreed to change the playoff system by 2014. The TV network he created as Big Ten Commissioner generates enormous rights, fees, and airs in 26 countries. Again, let’s look at the numbers to understand this development, this move, at least from the Rutgers’ perspective. 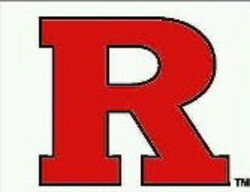 Rutgers will become the Big Ten’s 14th member after the University of Maryland joins the league, target date 2014. Since Rutgers has been in the Big East since 1991, even this year will only generate $6 million in royalties. Yes, there will be a $10 million penalty for leaving the Big East and a 27 month wait, although there is a precedent for earlier release. But presently, Rutgers subsidizes over 47% of its $60 million athletic budget. That’s $28 million a year! In contrast, Big Ten schools subsidies range as low as 0% to an average of 5% and a high of only 9%. Now watch the numbers! When Rutgers reaches a full share by year six in the Big Ten, it will receive in excess of the $42 million each year that Big Ten schools will get starting in 2017. – – Television revenues, etc. President Barchi does boast the academic opportunities that will be availed Rutgers through the Conference’s academic arm (and they are numerous and worthwhile). And he reminds us that the Big Ten “really represents our academic peers” and points to our student athletes’ 3.0 GPA. But President Barchi admits it’s about the money when he adds, “Athletics is an excellent marketing tool” that creates all kinds of opportunities. The numbers again! Just as, why would the Big Ten want Rutgers? Simply, with Rutgers’ proximity to New York City, the Big Ten Network will tap into a massive television market! – – All in the numbers! And that was only Tuesday! – – Busy week on the banks of the Raritan River in New Brunswick, NJ, for Rutgers! So, off to an away game at Pittsburg, Saturday, November 24, and a possible Big East title for Rutgers and first season Head Coach Kyle Flood, undefeated 5 & 0 in the league so far! But it was a Rutgers’ 27-6 defeat at the hands of Pittsburgh as if Rutgers “never showed.” Talk about the numbers! A win would have meant a clean Rutgers’ victory, a first Big East league title with Louisville’s defeat that same night at the hands of UConn 23-20. Ah, but not to despair! There was still Rutgers vs. Louisville, bringing this Trifecta of a Rutgers’ saga (merger, Big Ten, & maybe a Big East title) into the next week. Now it was Thursday, November 29, and Rutgers could win the Big East crown all for itself again with a win at its home High Point Solutions Stadium! NO! – – Final score Louisville 20-Rutgers 17, a real squeaker by the score, but in reality Louisville in strong control the second half of the game and dominant. Here go the numbers again. Rutgers and Louisville were left with a clinched four-way share of the regular season Big East Championship title, both teams with 5-2 records in league play along with the same for Cincinnati and Syracuse. (Overall Louisville 10 & 2, Rutgers 9 & 3 for the season) Louisville will go on to a prestigious BCS bowl, the Sugar Bowl, on January 2 against Florida 11 &1. And Rutgers will go to its 7th bowl appearance in 8 years with the Russell Athletic Bowl, Orlando Florida, on December 28, against Virginia Tech 6 & 6, Rutgers going for a rare 10-win season. Excuse us for living, but what a week and a half for Rutgers that saw triumphs with its merger with the medical schools and its invitation and acceptance into the Big Ten. And then it was all in the numbers and but for 4 points (losing 20-17 to Louisville) Rutgers would have won the Big East title outright and be on its way to the Sugar Bowl. But Rutgers did win a share as a Big East Champion and now the Scarlet Knights must once again await the next football season of 2013.
so there are now 14 in the big 10… uh.. so much for college math…..